Signage is a visual representation of a brand; it has the ability to portray a brand’s identity at a glance. 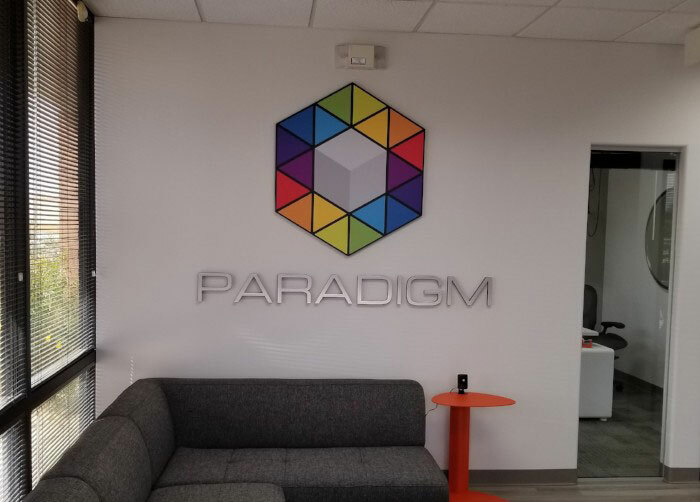 Paradigm Direct approached Spotlight for their lobby signage at their Scottsdale office. 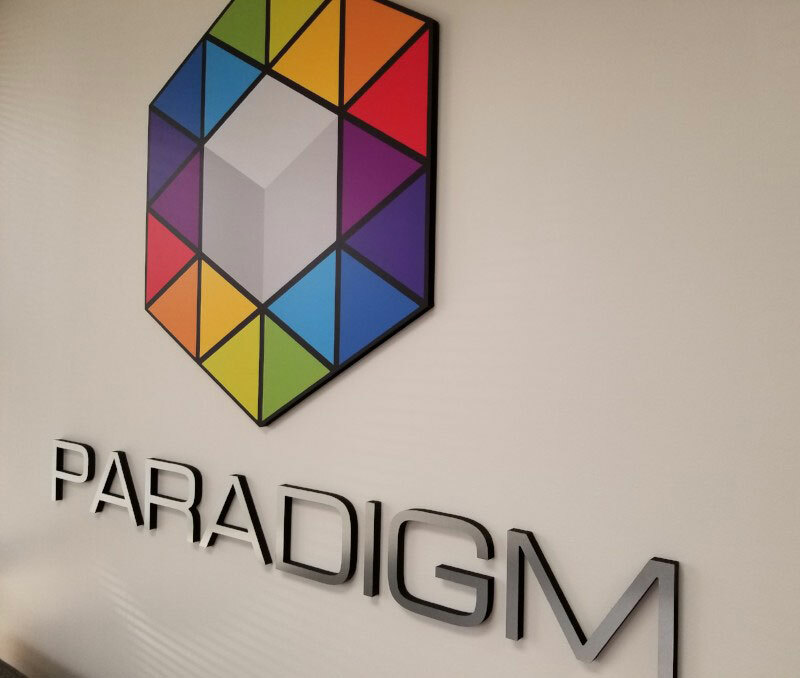 Paradigm Direct is an Arizona-based company with two decades of experience helping entrepreneurs. Over that 20 years, the team has helped hundreds of thousands of businesses achieve growth. The company was seeking signage that showcased their identity and reputation to future clients. Gatorfoam has been the trusted brand leader of heavy-duty foam substrates for the past 30 years. The material is scratch and dent resistant, featuring extruded polystyrene foam board bonded between two layers of wood-fiber veneer. Its ease of fabrication allows it to remain the premiere interior signage choice.